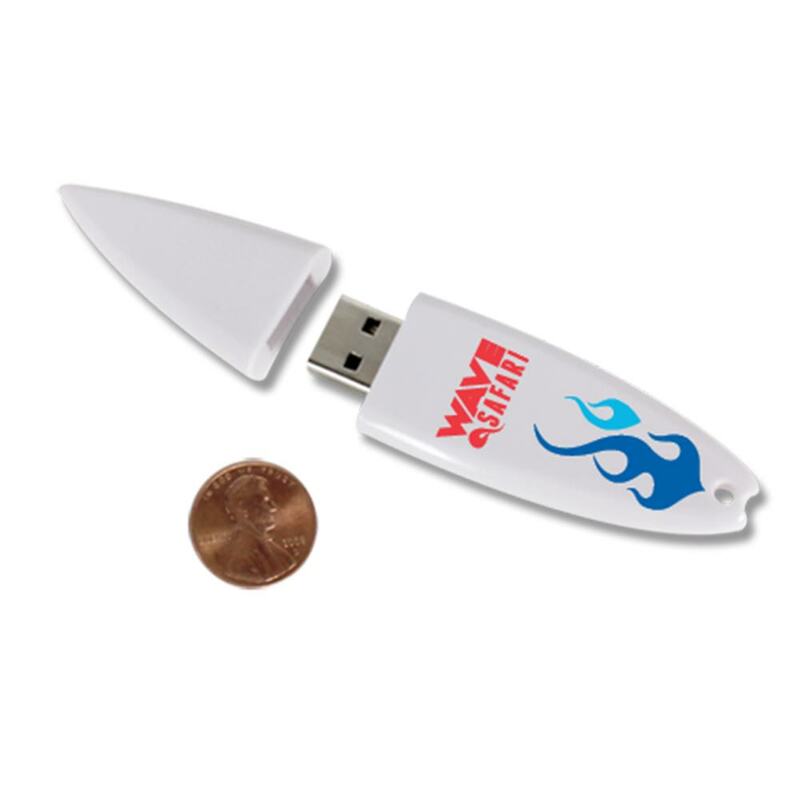 Try handing out these awesome Cowabunga Surfboard shaped USB flash drives at the next promotional event and potential clients will know that your company doesn’t just get great results- it is also a fun organization to work with. 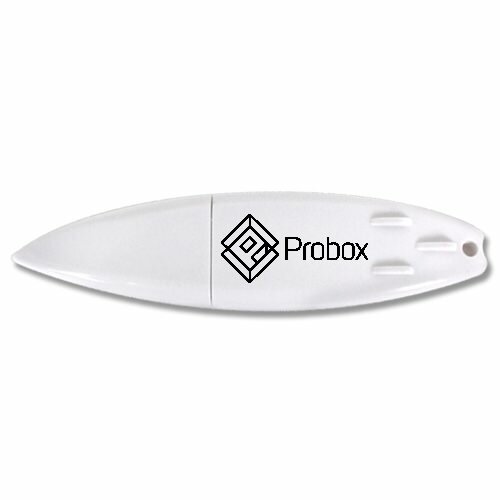 The casing of these drives is shaped just like a tiny surfboard and there is plenty of space to silkscreen print your company’s name and logo in splendid full color. These Cowabung Surfboard shaped USB drives are great for multiple businesses including ones near the beach, surf shops, and even seafood shacks. 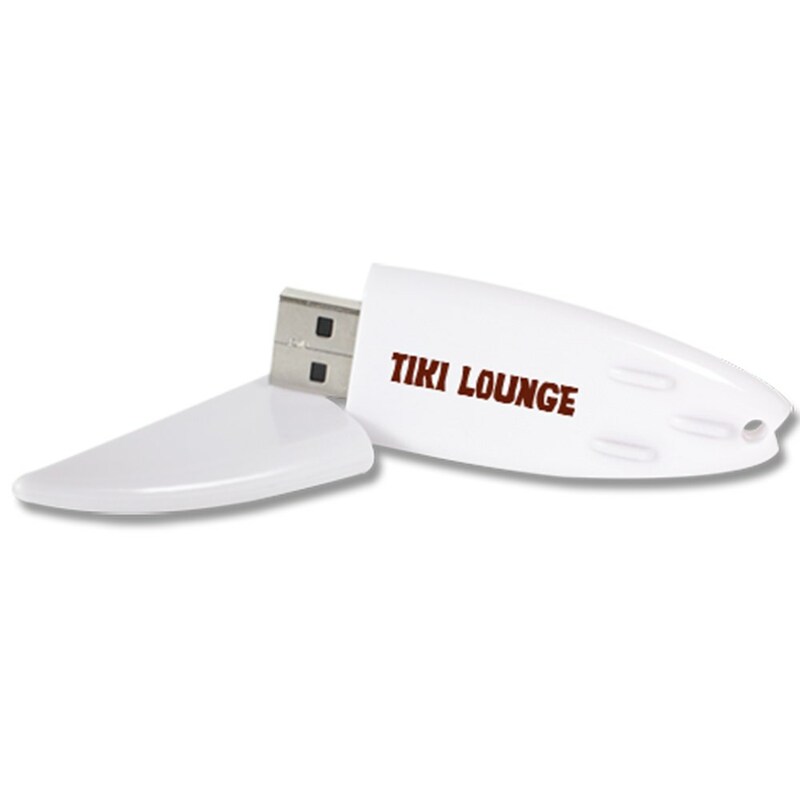 Add promotional photos, videos, and interactive rich media to these surfboard shaped flash drives with our free preloading options too. 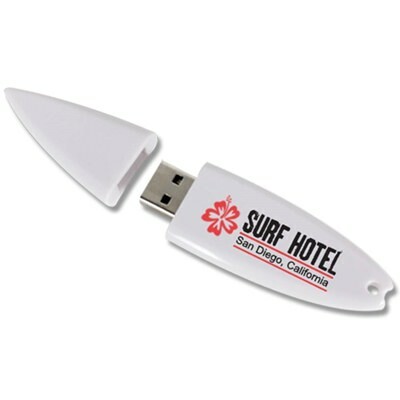 Ride the wave of promotional USB drives with the Cowabunga Surfboard USB drive. 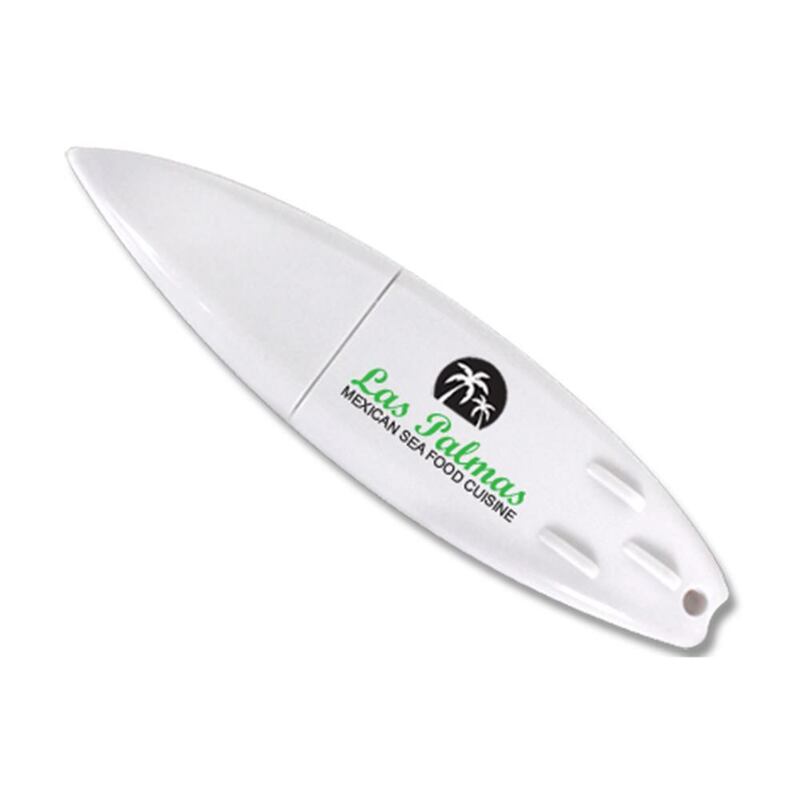 This iconic surfboard shaped drive is excellent marketing for niche companies like beach wear and accessories, souvenir shops, seafood restaurants, surf shops, and more is sure to set you apart from your competitors. The fun shape is combined with the practical data storage capability that ensures recipients aren’t just going to throw them away or forget about them. The large print surface on the board is ideal for logo and custom artwork.